Z_GIS invited to HUC Annual Meeting! 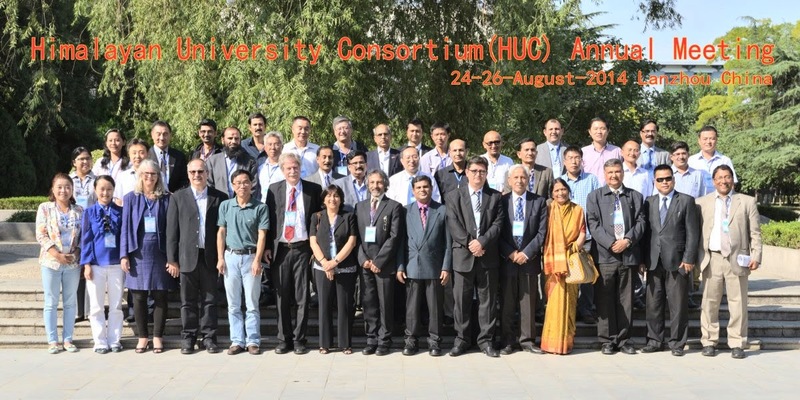 Z_GIS was invited to contribute to the strategy formulation process within the Himalayan University Consortium (HUC) during its annual meeting held at Lanzhou University, China from August 24 - 26, 2014. Z_GIS has been an associate member of HUC since its foundation in 2008 and Dr. Shahnawaz is responsible for coordination with the HUC activities. During the meeting, he presented a framework structure for HUC as well as a concept for the focus areas of education & research for each component of the proposed HUC structure. He also introduced the GIScience capacity building activities Z_GIS has been conducting in cooperation with several HUC member Universities in Nepal, Bhutan and India. As a result of this, Z_GIS has trained about 300 teachers, students and professionals in these 3 HUC member countries over last 10 years under projects funded by various funding agencies e.g. Eurasia-Pacific Uninet, Commission for Development Research, European Commission etc. Z_GIS is looking forward to continue the collaboration within the HUC framework!